There are 0 registered and 37 anonymous users online. We run a yearly Summer School where students have the opportunity of experimenting with the iCub for ten consecutive days. This is the best occasion to get to know the iCub and the RobotCub project with a hands-on experience which was always well received by the participants. The latest Summer School description and report is available here. 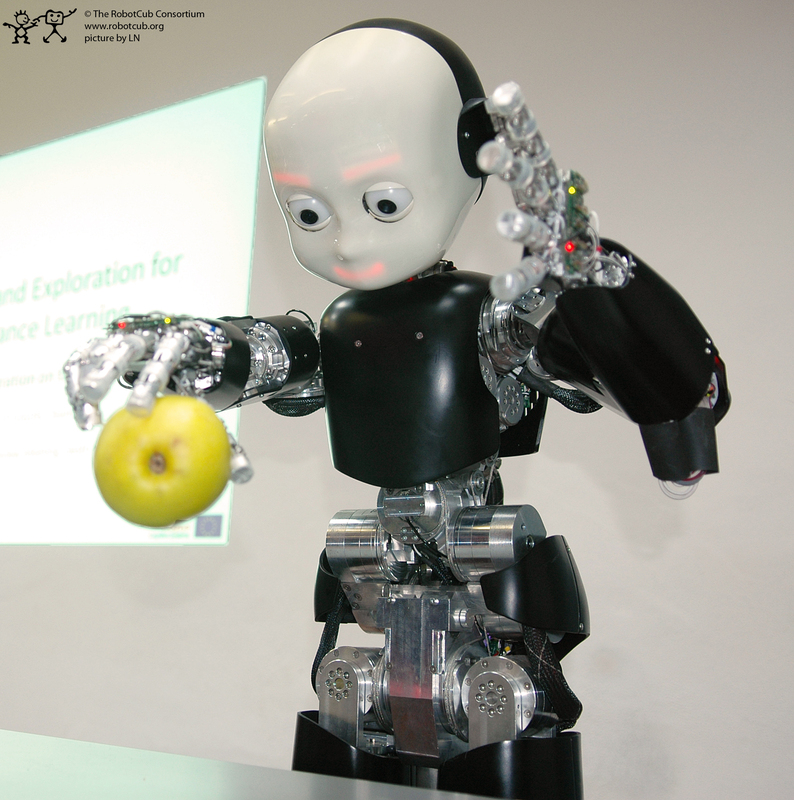 The RobotCub Summer School, "Veni Vidi Vici", serves to consolidate and disseminate skills in software engineering for humanoid robots. Our goal is to foster long-lived academic collaboration on robot software across the boundaries and lifetimes of individual projects. 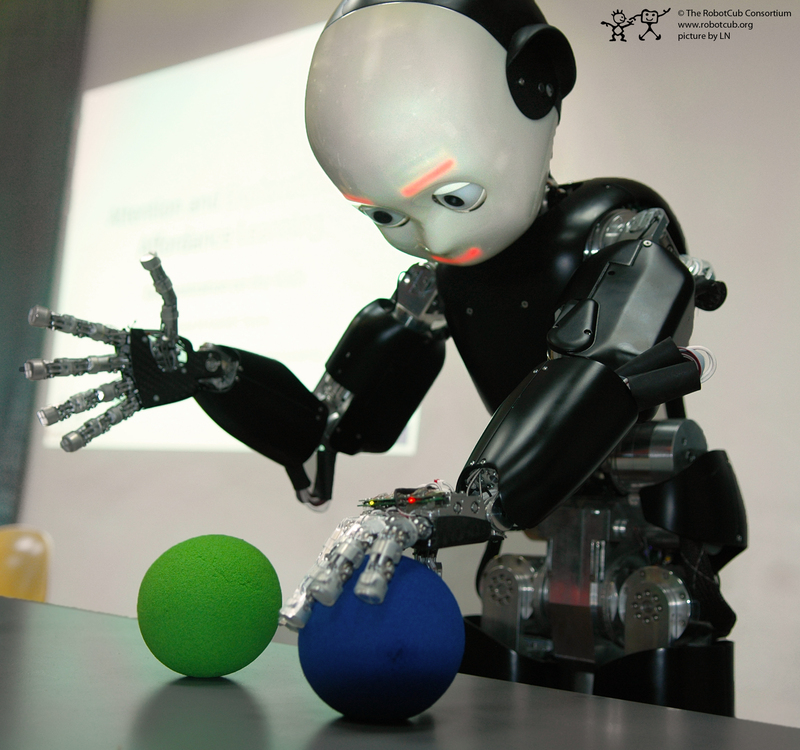 The school is hosted by the RobotCub consortium, a collection of institutions working towards an open platform for humanoid research. This year's school is organized as a "code sprint" to pull together all the software needed to make a humanoid work -- control and perception algorithms for its head, hand, arm, legs, and full body. This year, the school will be a peer-to-peer event. There will be no lectures, no strict division of instructors and students. All participants are expected to be competent C/C++ programmers with an interest in working with others like them. The school schedule will be organized flexibly around informal tutorials from participants on modules they are working on or interested in. These tutorial will certainly be given by the RobotCub members who will participate, but we encourage everyone to do this. The bulk of our time will be spent working together to integrate modules and implement interesting behaviors for the robot.